#Epik CEO, Rob Monster, believed the #Christchurch video was not real! :DomainGang #Epik CEO, Rob Monster, believed the #Christchurch video was not real! 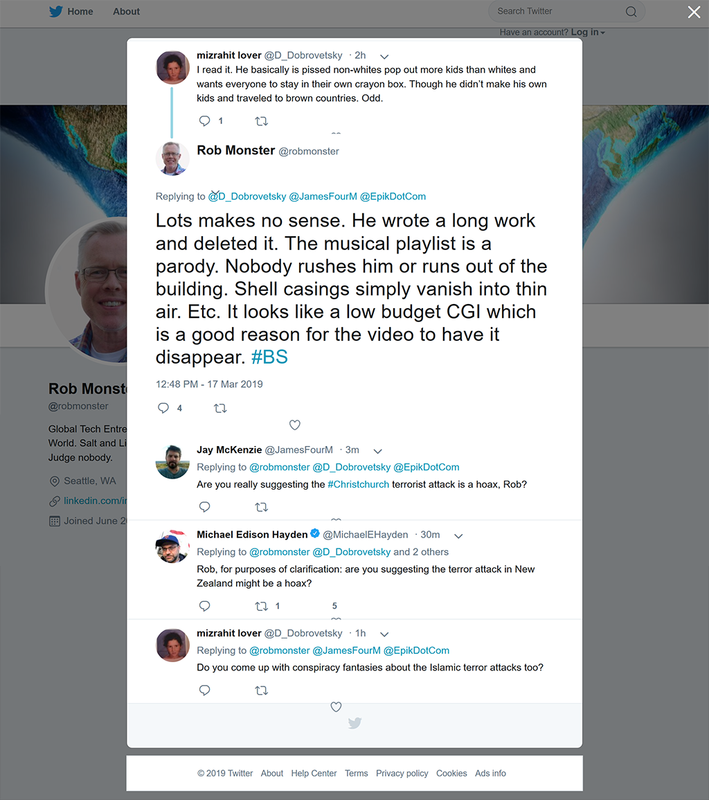 In what appears to be a remarkable demonstration of disconnect from reality, Rob Monster, CEO of Epik.com, questioned the legitimacy of the Christchurch massacre video. The chilling video was streamed live on social media, then stored in a variety of formats. We have watched the video, which is shot in first person as the murderer wore a bodycam. No-one in their right mind would question the video, which includes headshots to ensure the victims are dead, as if it were a hoax. The question is, how a smart man like Rob Monster cannot declare that the video shows a nazi admirer killing innocent people en masse. An active discussion at NamePros, is titled Whats going on with Epik and Rob Monster. Rob’s comments were insensitive to the victims and to the muslim community worldwide. Also, they were offensive and embarrassing to Epik employees such as myself. I have criticized the action in public. The .XYZ registry’s attempt to profit from the massacre by linking their new .MONSTER domain suffix to the scandal is also very repugnant. Rob at least had the excuse that he believed a conspiracy theory. The .XYZ registry just wants to cash in on a massacre / scandal, which is appallingly cynical. Joseph – Thank you for taking a separate stance on this thorny issue. XYZ spammed every blog with their “funny” idea and I doubt they’ll get the traction that was intended.